A chimney liner might not seem like an important part of your chimney, but in reality, it’s extremely useful and improves the safety of your fireplace and home. In this article, we’ll go over everything you need to know about chimney liners and their benefits so you can decide what’s best for your home. A chimney liner is exactly what it sounds like – a lining that goes inside of your chimney. 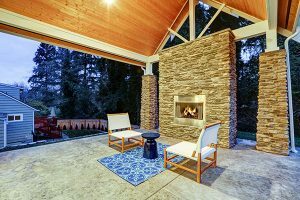 You might be wondering, “Why would I need to line my chimney with something, isn’t that what the chimney is originally intended for?” Although that may be correct, there are still many reasons why they’re important. Before explaining how a chimney liner can benefit you, you must first know the types of chimney liners and when to use them. Most homes with a chimney were originally constructed with a clay or ceramic liner. 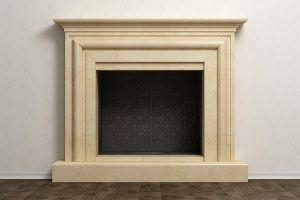 These are often used when a home is first built because they’re inexpensive and work well with a properly maintained, or brand new, open fireplace chimney. However, clay chimney liners are not the most durable and can crack under extreme weather changes and conditions. Living in Chicago, you know that the weather is anything but predictable. Another type of chimney liner is the aluminum liner. Aluminum liners are very durable, but are only suitable for gas fireplaces. They retain the heat well and keep your chimney walls protected. Stainless steel chimney liners are extremely durable and perfect for wood-burning fireplaces. People often get a steel liner to upgrade from their old clay or ceramic one. 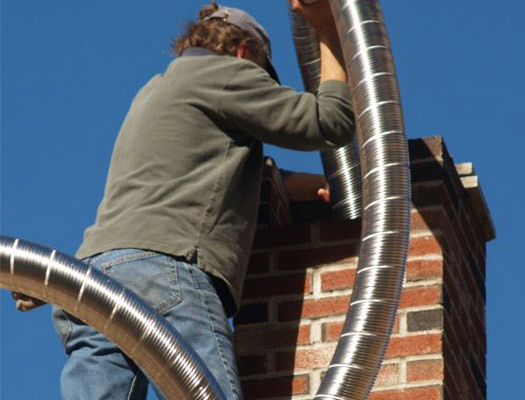 Steel chimney liners will keep your chimney walls safe and protected for many years to come. Obviously, the biggest benefit of having a chimney liner is that it increases the safety of your fireplace, home and family. This is where you might be thinking, “I’ve had a fireplace for years without a liner and nothing bad has happened.” Yet. Nothing bad has happened yet. It’s always better to be safe than sorry. Chimney liners create a clear and direct path for smoke to exit your home safely and efficiently. Without one, your chimney walls will eventually deteriorate and smoke will be able to seep through any cracks. When your chimney can’t effectively release smoke outside, it greatly increases the risk of a chimney fire. 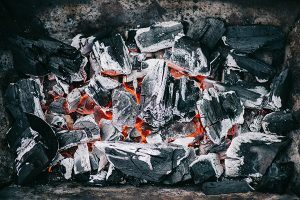 Plus, soot and creosote can more easily form on your chimney walls than it can in a chimney liner which means you’ll have to have your chimney cleaned more often. When you use your fireplace, carbon monoxide gets released and you want to keep that out of your home at all costs. A properly installed chimney liner that’s in good condition will be able to keep it out. Also, if your chimney doesn’t have a liner, that increases the chances of your flue getting cold. What happens when your flue is too cold? It’ll force the smoke back into your home because the cold air is more dense. When you have an insulated chimney liner, this risk is nearly diminished. The easiest way to decide if you need a chimney liner is to first ask yourself, “Do I have a chimney liner?” If you answered no, the decision is easy. Get a chimney liner. Some areas even require that you have a liner, such as Chicago, in your chimney so it’s important to check with your local municipality to see if this applies to you. One of the most common signs that you need a chimney liner is when you notice that your chimney walls are deteriorating at a faster than normal pace. When your liner is not in proper working condition, the heat will damage your brick and mortar at a higher rate. In such a case, you’ll need chimney tuckpointing to restore the damaged area. 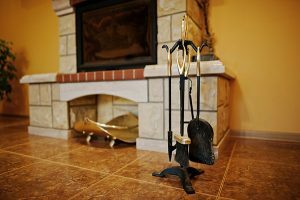 If you’re moving into a home that has a fireplace, be sure to check if the chimney is lined. Oftentimes, the house will still have the original clay liner installed and many times that liner will be damaged. Another way you can tell that you need a new chimney liner is when you notice a condensation problem. Any time there’s water in your chimney, it’s not a good situation. Moisture is a chimney’s biggest enemy. A new chimney liner will help insulate your chimney and keep the moisture out. You can also make sure to waterproof your chimney to even further your chimney’s defense against moisture. Also, you should get a new chimney liner when you decide to convert your fireplace. Whether you go from gas to wood burning or vice versa, it’s important that you install a new chimney liner because different materials are more suited for different fireplace types. For example, aluminum liners are used for gas fireplaces and steel liners are used for wood burning ones. Of course, if you’re unsure about the status of your chimney liner, get a chimney inspection as soon as possible so a certified professional can determine if your chimney is safe to use. Obviously, many homeowners are not certified chimney technicians so it can be hard to diagnose your chimney on you own. However, it’s easy to notice any sudden changes in the performance of your chimney. If you notice condensation in your chimney and it’s harder to burn long fires, the problem could be a damaged or nonexistent chimney liner. When you find yourself asking, “Do I need a chimney liner?”, contact Early Times to get your chimney inspected as soon as possible. We’ve been helping Chicagoland homeowners keep their homes cleaner and safer for over 30 years. Get a free quote online for any of our chimney and fireplace services.